SIGN UP NOW QUESTIONS ? The (Onsight) team is unbelievable - customer service is first rate. Onsight saves us time and money...we have cut down on sending samples by almost 75%. Xero and Onsight...have transformed the way we do business. A key benefit that Onsight offers is the ability to place orders online or offline. Onsight really enables me to propel my business in terms of professional presentation. Onsight has cut our data entry time nearly in half. I found the app a very useful tool in showcasing my product range. The Onsight team has been an asset to us since the beginning and now we have a branded app that is perfectly suited to our unique needs. Onsight captures the order and then sends the order to my accounting system...saving me a lot of time and effort. 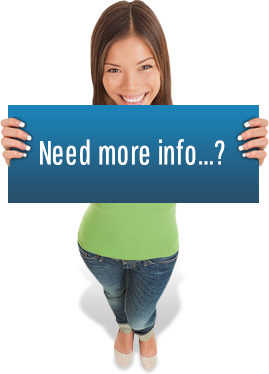 The main benefit of using Onsight is that we can place and process orders much faster than before. I would recommend any field-based sales team to try the Onsight app, it will really make your order taking process so much easier! The Onsight system makes communicating with my agents and distributors that much easier. The app has a user-friendly interface and it is very easy to use. I’ve never had a problem so far. I will definitely be recommending Onsight to everyone, you guys are doing an awesome job! It is really easy to add new products to the app. This is quite important since we change our products on a regular basis." The Onsight team...Nothing has ever been too much trouble and they are very quick to help with problems. "Using Onsight has made our reps' days more structured because all activities are organized through the app and our processes are more simplified." Tiaan Esterhuyse, Retail Analyst, Hisense South Africa. We knew Onsight could help improve the performance of our sales team. The company's sales reps are now able to process orders, and send invoices much faster and easier than they did previously. I saw positive results within a short amount of time. Kelly Hunter is one of Ireland's leading wholesale distributors. They have been supplying all of the major retailers in the country since 2003 with lines such as Ritter Sport. Kelly Hunter uses the Onsight mobile sales app to collect orders from their customers and the app then sends those orders directly into their SAP Business One system for immediate invoicing. Designer Hollie Watman has created a women's fashion line of vibrant wearable pieces. The collection focuses on athleisure and swimwear, featuring bold and striking designs. The Hollie Watman team uses the Onsight app as a sales tool for the wholesale trade. Dekassa produces a bespoke range of luxurious body butters, speciality candles and insect-repelling sprays made from natural ingredients. All of their products are hand-poured and crafted close to Glasgow in the Scottish countryside. Dekassa uses the Onsight mobile sales app to showcase their full product range when off-site and has integrated it with Xero for seamless accounting and ordering functionality. Rachel Canada is an artist based in Virginia, USA, who uses her exceptional talents to create beautiful custom oil paintings, greeting cards and note cards featuring dogs, cats and other animals. She is using the Onsight sales app as an order management system and to showcase her unique works to wholesale and retail clients alike. Clearline Distribution is a distributor of a variety of products including light bulbs, car scents, batteries, car accessories, retro appliances and many more. They serve various businesses across the United Kingdom. Onsight has assisted them in simplifying their selling process by switching from paper to digital and with the integration of their accounting system with their sales system. Kimal is a trusted developer, manufacturer and supplier of customised medical procedure packs for use in hospital departments such as cardiology, radiology, laparoscopy and cardiac surgery. Kimal required a branded, customised app for their sales reps to easily present the company's wide range of procedure pack components and to provide cost estimates to clinicians. Two Pack Supplies is one of the leading distributors of paint, dry goods and equipment for the auto body repair and refinishing market in Ireland. The company uses Onsight's customer login feature to let their customers browse the product catalogue and to offer the convenience of self-ordering at any time. Two Pack Supplies also makes use of Onsight's product packs feature, which enables them to provide tailored product offerings to each customer. Sarafino is an importing and distribution company that deals in natural, uncompromised artisanal products that remain true to their origins. The company values traditional farming operations. With Onsight's assistance, Sarafino has reduced sample sending by 75% and eliminated the time previously spent on updating pricing lists. Anna Chandler Design specializes in vibrant and colorful homeware including ceramics and tableware, created by experienced decorative artist Anna Chandler. Anna's creations draw inspiration from various world cultures, but especially those found in the Mediterranean. The company has various distributors worldwide and needed a way for their sales reps and ambassadors to easily showcase the company's designs via a personal, hands-on approach. Four Canadian families formed Level Ground Trading in 1997 with a vision to improve the lives of disadvantaged producers through trade. These producers now have the ability to provide for their families better through production and distribution of locally produced organic products to countries worldwide. Onsight is helping them to make the process of ordering simpler and more efficient, while maintaining their ethical standards and saving resources. Aurora Experience Inc. specializes in selling designer outdoor lighting systems and is the North American distributor for Techmar lighting from Holland. Aurora Experience uses the Onsight mobile sales app to showcase their products at tradeshows. The hi-res images in the app makes it easier to show visitors the entire product range in their natural setting. 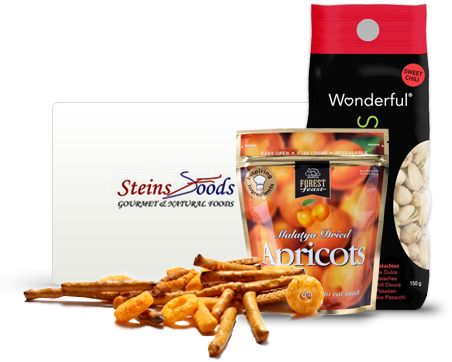 Steins Foods is a London based importer and distributor of delicious gourmet food. They source their unique products from all over the world while still supporting local products from suppliers within the United Kingdom. Steins Foods is using the Onsight sales app to automate their order processing when selling to grocery stores, health food stores and delicatessens all across the UK. 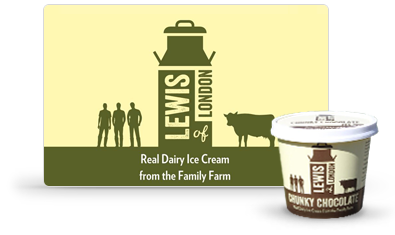 Lewis of London wanted to use technology to make their field-based sales team more efficient whilst still maintaining that close-knit family feeling in the way they do business. They needed a smoother and more efficient ordering process that would easily integrate into the way they were currently doing business. Escape to Paradise designs and distributes luxury home decor items and clothing accessories to help bring that holiday feeling to people in their daily lives. This rapidly-growing company needed a way to send up-to-date copies of their product catalog to their agents and distributors spread all across Australia and New Zealand. 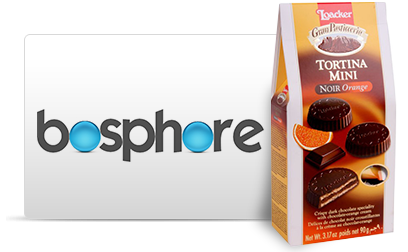 Bosphore is a sales and distribution company based in Montreal, Québec, Canada. This company imports products from Europe and the United States for distribution all across Canada. Bosphore wanted a system and process in place that could have orders captured and processed by the company as quickly and accurately as possible. 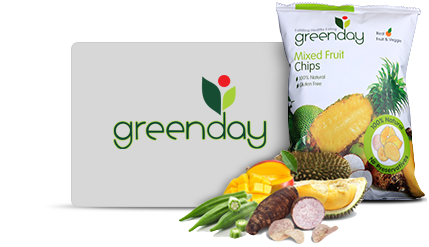 EAF Intertrade & Greenday are collaborating to bring wholesome and tasty Asian-style snack foods to the Australian market. Together they have a wide product range that they wanted to market and promote without using printed paper catalogues. Also, they needed a simple way in which to update their catalogue as new products were added. 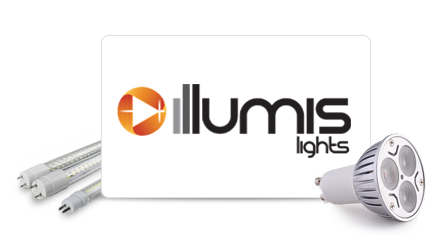 Illumis Lights, which is headquartered in Singapore, distributes quality LED lighting to private and commercial buyers worldwide. They wanted a way to present pricing information to their various clients whilst still maintaining the confidentiality of channel and wholesale price agreements. They also wanted their distributors and agents to be able to access product and pricing information without having to be online and at their PCs. KopCup is a Danish small business that was established in 2005 by graphic designer Karen Skotte-Lund. KopCup produces unique handcrafted graphic ceramics as well as beautiful jewelry pieces. Karen needed a trade show app that would allow her to show off and sell her wide range of KopCup products without having to transport her entire range to each show. Fowler Oldfield's expertise in the jewellery industry spans more than a century. They provide professional jewellers all across the UK with everything from tools to refining and casting services. Fowler Oldfield has partnered with Onsight to create a personalized digital catalogue to showcase Fowler Oldfield's products directly to customers visiting retail jewellery stores. Jewellers use the same app to send orders to Fowler Oldfield. Paragon Technologies are wholesalers, importers and distributors of high-quality, professional bicycle parts throughout South Africa and Namibia. Items include bicycle frames, components, display stands, clothing and accessories. The Onsight mobile sales app is helping them to keep sales reps up-to-date on stock availability and pricing, as well as to streamline the ordering process. Hisense is a multinational corporation that manufactures thousands of consumer products such as televisions and refrigerators. They have been involved with the South African market since 1996 and are expanding year after year. Hisense is using the Onsight sales app to structure their reps' daily merchandising activities. Hisense is now able to simplify their data collection and sorting processes to save them time and money on a daily basis. Supreme Beverages is a new and innovative liquor brand. Since their sales reps sell to clubs, bars and liquor stores spread over a wide area, they needed a catalog and ordering solution that would provide them the ability to place orders from anywhere. They also wanted a way to showcase their products in an appealing manner to new customers. Inpharmation S.A.R.L. is a wholesale and distribution company in Lebanon that specialises in providing consumer parapharmaceutical healthcare-related products that are imported from North America, Western Europe and Asia Pacific. Through the use of the Onsight mobile sales app they are eliminating paperwork and improving their sales of new products. Beach Body Tan provides a professional line of spray tans that was developed alongside a leading US manufacturer. It has been specifically designed for Mediterranean skin tones for use across the Middle East. Beach Body Tan has implemented the Onsight Mobile Sales App to improve sales reps' accountability, and also to reduce paper usage. Obsessions was established in 1994 and have become connoisseurs of luxury carpeting. They source the very best from local Indian manufacturers as well as import luxury carpets from countries across the world including Belgium, Turkey, China and Egypt. They are using Onsight's electronic catalogue to showcase their wide variety of home decor products to clients and to conveniently place online orders any time, from anywhere. Please contact me to discuss the Onsight mobile sales app.